Celebrities have agents working around the clock to manage their public image, from websites, blogs, Twitter, Facebook pages, fan clubs, all the way down to what photo to use on their new line of T-shirts. 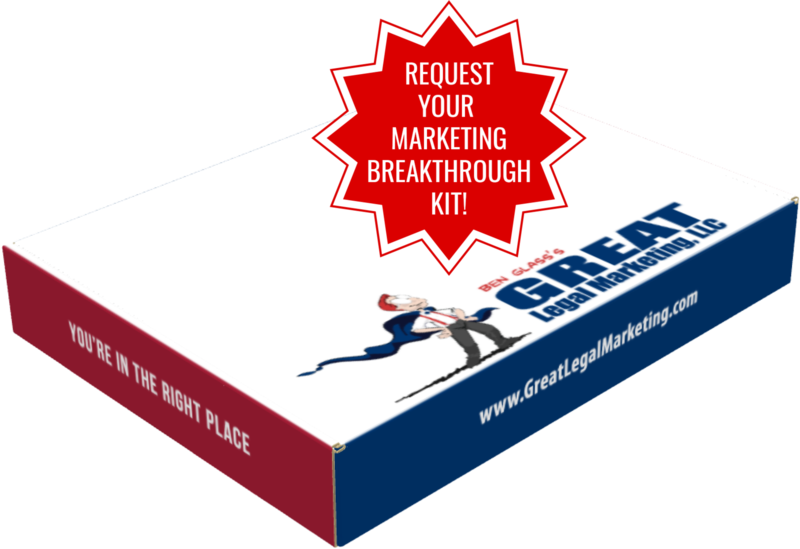 You don't need an agent to run a successful lawyer marketing campaign and establish your image, all you need is to know how you want your ideal clients to see you. That's plural with an ‘s', because infiltrating Google's first page of search results, even for your own name, will require an Internet presence on several websites. Your lawyer marketing campaign should consist of several websites that support your image; one for your law firm, one for your personal site, one with your multi-media (video clips, audio streams, podcasts) and one for your social media profiles. When managing multiple websites, make sure they all contain 2 main things: a link to contact you, and links back to your major website hub of information. This lets you get a little more personal and down-to-earth with your clients. Post short stories about interesting news in your world. Links to court cases similar to those your clients may be facing and your thoughts on them are great conversation-starters. Just remember, effective lawyer marketing means constant updating, so you'll need to make sure to add new blogs every day or at least several times a week. Articles give you a little more writing room and the power to prove you are THE guru when it comes to your practice areas. You can show off your knowledge and give your clients the info they need. With that, your image as the go-to source for legal information just got even more solid. Just make sure to keep them relatively brief and don't get too far into the technical legal jargon. Just how fans love to know what their favorite celebrity is up to, you need to tell your client fans the same. Did your firm just celebrate 20 years in practice? Is there a new partner to welcome? Are you sponsoring a charity event? The people want to know, so tell them! Paper mail isn't dead yet, and newsletters are still an effective way to communicate news and information. If you keep your mailings consistent, you can even create an eagerness for that monthly mail. Ben will teach you how to: stop marketing like every other lawyer on the block; grow the kind of practice you can be proud of; and still get home in time for dinner. Contact us today - (703) 591-9829.